Two major tuna fish companies have issued recalls for their flaky fish due to packaging problems. 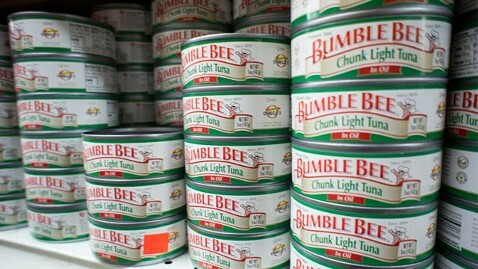 Bumble Bee Foods and Chicken of the Sea both have issued this voluntary recall of 5-ounce cans of Chunk White Albacore and Chunk Light Tuna because the seals did not meet company standards. Loose seals and seams can lead to bacterial contamination, which can cause food poisoning, according to the FDA. Anyone who has had food poisoning will tell you that it is a miserable experience which they never want to repeat. According to the Center for Disease Control (CDC), food-borne diseases cause approximately 76 million illnesses, 325,000 hospitalizations, and 5,000 deaths in the United States each year. Food poisoning is very frequent in Virginia, and can lead to serious injury which requires extensive medical care and heavy medical bills. In 2009 a salmonella outbreak was discovered in peanuts and it’s by products such as peanut butter. According to the CDC, the contamination caused 107 hospitalizations as well as eight deaths and hundreds more victims to become sick. As a Virginia (VA) personal injury firm we have helped many victims of dangerous and defective products recover damages. If you have been the victim of food poisoning or injury due to a recalled food, it may be possible to sue the food manufacturer or distributor. You may be able to seek compensation for medical bills, wages lost during your illness and recovery, pain and suffering and, in extreme cases, wrongful death. Our experience personal injury lawyers have helped many food poisoning victims obtain the justice they deserve from the manufacturers and sellers of bacteria-tainted food. Defective and dangerous products come in all shapes and sizes, from cars to cribs. If you or a family member has been injured, sickened or killed by an unsafe product you can begin to learn about your legal rights and options by reading this free guide. We maintain a library of attorneys' answers to frequently asked questions regarding recalled products.